You’ve probably heard that you should never buy a new house before selling your old home because if you buy before you sell, you run the risk of owning two homes at once and carrying two mortgages. For some home buyers, however, it actually does make sense to buy a new home before selling the old one. Here, realtor.com tells you six times when you should seriously consider this option, along with tips for handling the challenges you might face along the way. A seller’s market refers to times when there are more buyers looking for houses than there are houses available for sale…and this puts buyers at a disadvantage. In a strong seller’s market, buyers face stiff competition with multiple offers and little available inventory and it can take several tries before getting an offer accepted. Since your efforts to buy a home may be long and arduous, it may make sense to secure a deal on your new digs before you put your current house on the market. This is especially true if your old home also is located in a seller’s market, which is likely if you’re buying a new house in the same area. This means you’ll probably have plenty of interest in your home, and no problem selling it once you’re ready. If you’re living in a fixer-upper or you have your eye on one, buying before you sell may actually make a lot of sense because this strategy gives you a place to live while renovating the other residence. That way, you and your family don’t have to live in a construction zone. Another perk? If you’re fixing up the house you currently own, it could boost your home’s value, which positions you to receive top dollar for it. It might not be so easy to sell a house that’s overrun with children, along with all of the toys and inevitable messes that crop up in their wake. It can even hurt the odds that your home will sell at all. With an active family, the pristine condition that home buyers expect just doesn’t happen unless everyone is out, everything is cleaned and repaired, and the home is staged with furniture with no worries of it getting dirty. 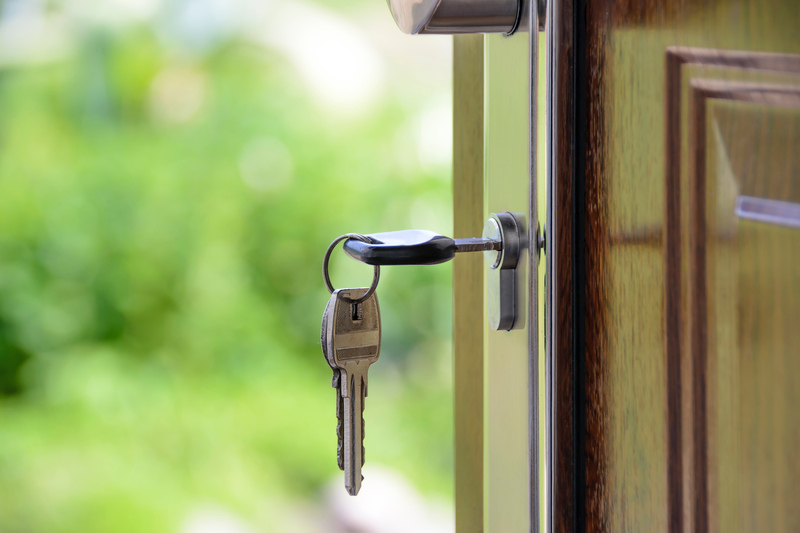 Getting your home sales-ready, and keeping it that way, may be easier if you’re already living in your new home (plus, you don’t have to uproot your little ones more than once). Downsizing is an especially challenging task because you’re faced with sorting through the contents of your current home, which tends to be a time-consuming and emotional ordeal. Buying a new home before selling gives you time to sort through your belongings and simplify the process. This approach can work well for elderly clients, particularly since with downsizing, the second mortgage is probably a smaller one. With downsizing, it’s a good idea to take this approach—buying before selling—since the financial burden of carrying two mortgages will be of smaller significance since you’re buying a less-expensive, smaller home. Some houses are just too good to pass up, especially if you’ve found an amazing bargain or the home of your dreams. If you don’t snap it up immediately, you might regret how playing it safe meant you missed out on a once-in-a-lifetime deal. One huge downside to selling home No. 1 before buying home No. 2 is that you’ll probably have to endure the process of moving twice. If homeowners sell their existing home first, it requires them to move out and find temporary housing and storage. Once the new home is purchased, it would require moving again, which not only is inconvenient, but costly as well. According to the American Moving & Storage Association, the average cost of moving in state totals $1,170, while an out-of-state move costs about $5,630. If moving and spending that amount twice is a major turnoff or an all-out deal breaker, then you’re certainly a candidate for buying before you sell. 0 Responses on "6 Times It’s Actually Smarter to Buy a New Home Before Selling the Old"